The trees on the embankment of the island were cut down in huge masses by the then island office, saying that the trees were used as a rendezvous by couples. The threat that is now facing the trees on the embankment is the ever increasing number of barbecue fires that get put on the beach further thinning out the tree layers. The Northern Beach of Villingili was the most beautiful beach in Villingili and was used by everyone in Villingili and Male’ as picnic spot. It was destroyed when construction began for the harbor. The work done on the harbor further destroys the reef, as huge construction equipments get placed directly on the reefs during construction. Parts of the quay wall on reclaimed area on the west have broken and fallen into the sea because of the strong currents on the western front. A proper Environmental Impact Assessment (EIA) had not been done before the reclamation. It is common for beach users and picnic goers to dump their waste into the sea without a second thought. There is one restaurant on the sea wharf and the restaurant customers by habit throw their cigarette butts into the sea. Plastics and other rubbish are also dumped in the sea, which is now the prime location for swimmers and beach goers. on for beach users and picnic goers to dump their waste into the sea without a second thought. There is one restaurant on the sea wharf and the restaurant customers by habit throw their cigarette butts into the sea. 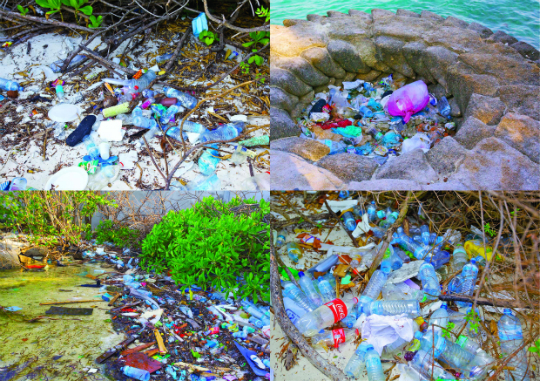 Plastics and other rubbish are also dumped in the sea, which is now the prime location for swimmers and beach goers. The Villingili south east reef use to be a shark point, but today sharks in this area are a rare site. The Manta, eagle and sting rays as well as turtles, eels and corals that lived in abundance have now abandoned the reef and have left it dead and dry because of the amount of garbage being accumulated on the reef continuously. The reclamation on the south west has completely destroyed reefs around this area and this is the direct effect of the work that had been `done on the reef. 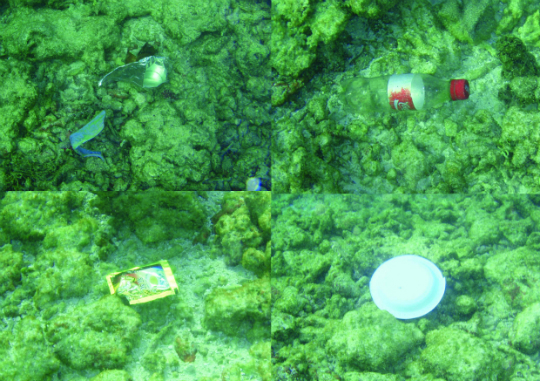 The equipments were placed on the reef during reclamation, and the waste that was disposed, along with the sand placed on corals destroyed habitats of smaller creatures. This also adds to the burden of the reef around the island with unpredictable currents and sand destroying the reefs on the other side. 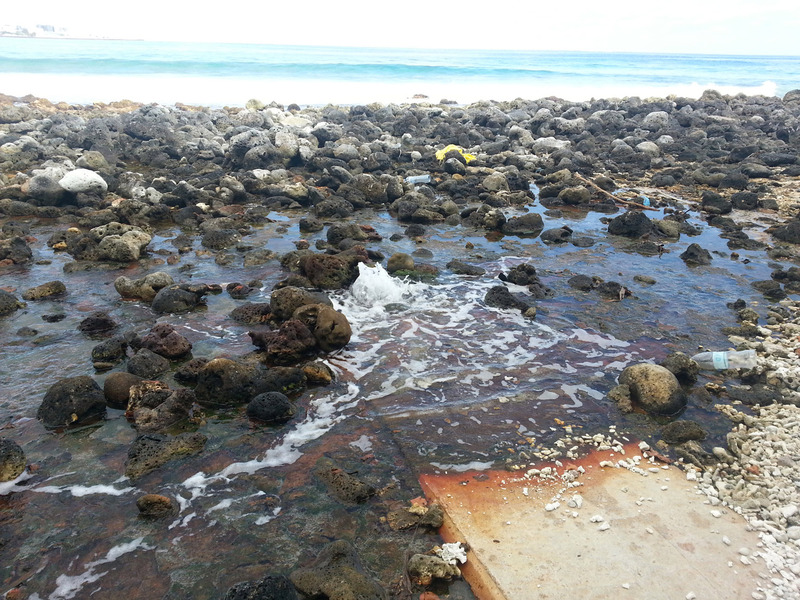 The brine outflow from the state desalination plant right onto the reef further threaten life on the reef, leaving it not just unsuitable for life, but discolours the beach and even leaves a stench in the water sometimes. On the South West beach small boat owners have started using the beach to repair and fix their boats. The use of the beach as a boat yard shows clear disregard for the beach and its users when there is an area in Villingili that is specifically assigned for that kind of work. This work has discolored the beach and left it dirtier and more full of garbage than it was earlier. 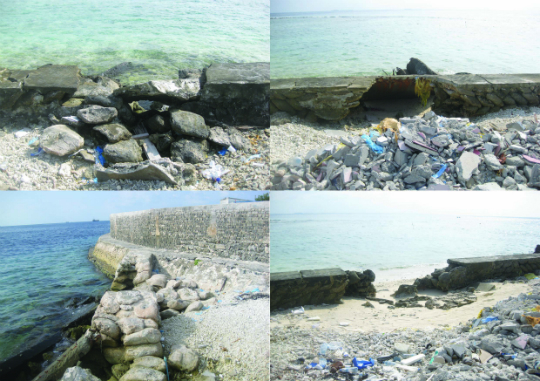 The biggest factor that has led to the destruction of the beautiful Vilingili beaches is the construction of the jetty on east and harbor on the north. Vilingili is left with only three small beaches approximately 436 ft, 700 ft and 1100 ft.